I've been a semi-competitive baker for quite some time. What does that mean? Well, it means that I love baking and LOVE when what I bake is better than other people's. Haha! 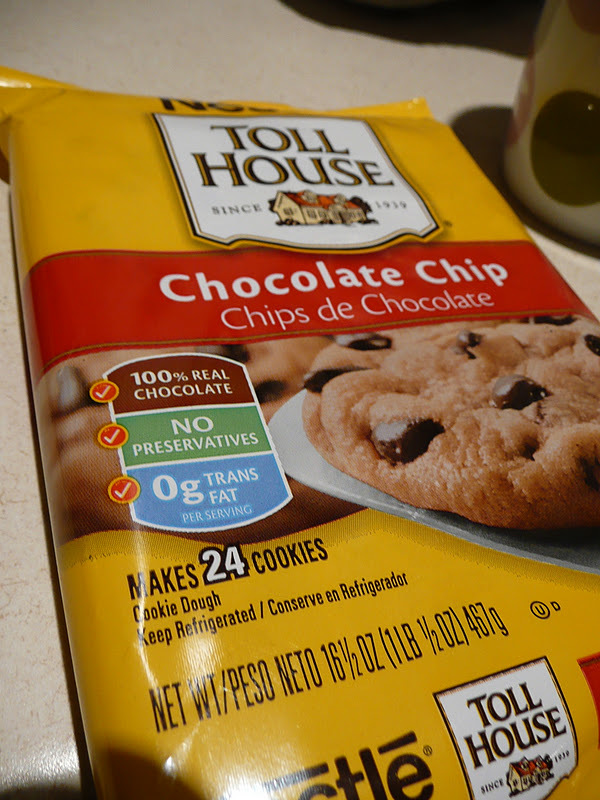 According to the instructions, all you had to do was break off however many cookie's worth of dough you wanted. No cracking eggs and no sifting flour. Last night, I had a craving for a cookie. Instead of making an entire batch that I'd only end up eating myself, I turned to the pre-made dough. How hilarious are the cutting instructions? Now, the dough was divided into squares. Nowhere in the instructions did it say to roll them into balls. I wasn't in the mood for square cookies, but decided to follow the directions in their entirity. Baking can be tricky sometimes. 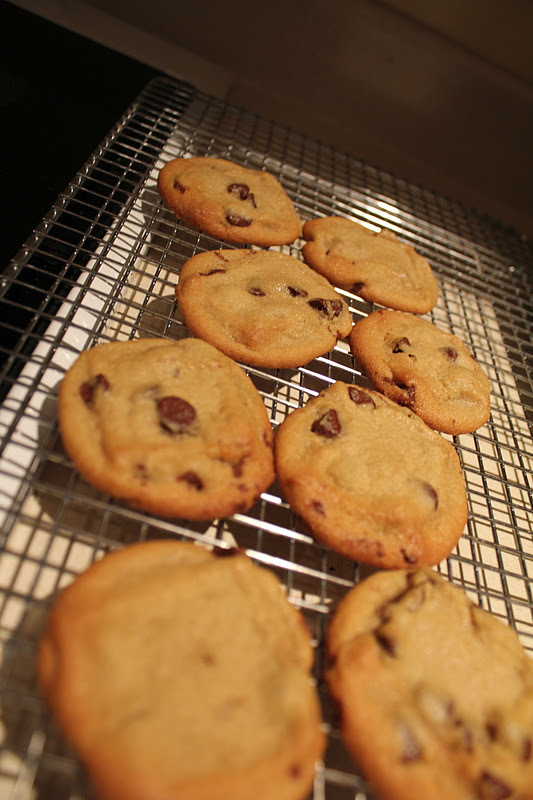 So, I chose to make 8 cookies. Yes, that seems extreme. Don't judge. The instructions said that they'd take a mere 10 minutes at 350 degrees. The entire process of cutting the package and breaking the dough took less than two. So far, these TollHouse babies not only saved me from dishes, but also a whack of time. 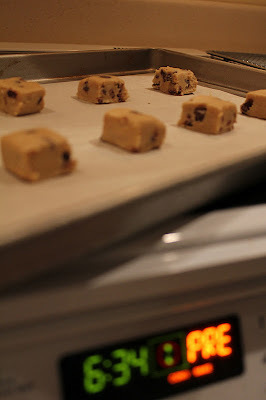 To my UTTER SHOCK and SURPRISE, during the 10 minutes they were in the oven, the cookies changed from squares to circles. How is that possible? Perhaps it's elf-en magic - even though they live in a tree over at Keebler, there has to be some spillover or something. It just doesn't make sense to me. That being said, the tricker-ous cookies were delicious! All four of them, leaving four delectable little puppies for today. Not that I plan on eating them for breakfast this morning....or am I?